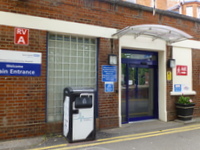 Whipps Cross University Hospital is located in Leytonstone in the East End of London. 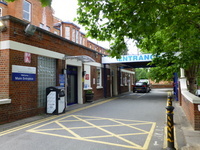 The main entrance to the hospital is on Whipps Cross Road (the A114) between the Whipps Cross roundabout and the Green Man roundabout. This is the best entrance for car parks 1 and 2. 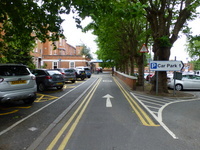 There is also an entrance off James Lane which is the best entrance for car parks 3 and 4. 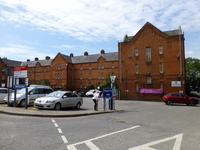 The hospital has 4 main car parks: - Car Park 1 for Hospital Main Entrance, Main Building, Chest Clinic and MRI - Car Park 2 for Hospital Main Entrance, Main Building, Eye Treatment Centre and Plane Tree Centre - Car Park 3 for Maternity, Antenatal, and Outpatients - Car Park 4 for the Emergency and Urgent Care Centre (A&E) department. 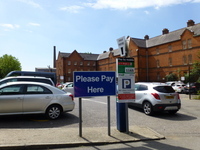 There are Blue Badge bays in all car parks and additional ones near Outpatients. 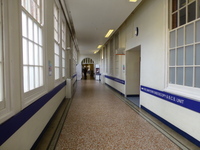 There are also short stay drop-off/ pick-up only points near to A&E, Maternity and the Byron unit. 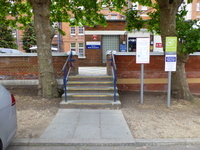 Buses W12, W15, W19, 357 stop within the hospital grounds. There are stops near the Hospital Main Entrance and also near Outpatients/ Maternity. Buses 257, 56, and 230 also stop near the hospital grounds at the Whipps Cross roundabout (around 200m to the Hospital Main Entrance.). Wood Street or Walthamstow Central stations are the nearest rail stations. Wood Street and Walthamstow Central are on the Great Anglia Train line from Liverpool Street to Chingford. From Wood Street station, take the bus 230 from Stop: D towards Wood Green Station. From Walthamstow Central, take the bus W19 from Stop: B in the Bus Station towards Ilford. The TFL journey planner helps to plan a journey using public transport, cycling and walking. Filters can be used to select options such as completely step-free or maximum walking times. TFL's Transport Accessibility website includes links to useful information such as maps and guides in different formats and up to date information on temporary lift and escalator closures. 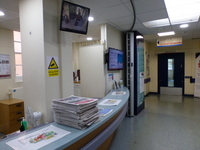 The Patient Advice and Liaison Service (PALS) is located off the main corridor in the Red Zone, between junctions 4 and 5. The telephone number for the Patient Advice and Liaison Service (PALS) is 020 8535 6438. 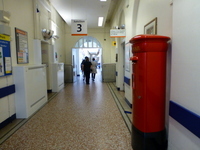 The email address for the Patient Advice and Liaison Service (PALS) is pals@bartshealth.nhs.net. Volunteers can be found at the Hospital Main Entrance Reception and in the Outpatients Building. A mobility scooter charging point is not available at the hospital. To obtain mobility aids please contact Hospital Main Building Reception. 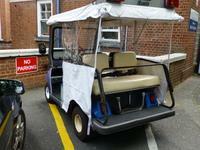 The hospital volunteers operate a buggy service to drive patients with mobility difficulties between the Hospital Main Building, Outpatients and other buildings in the hospital site. 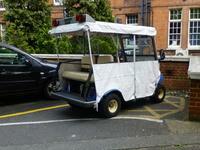 The buggy can carry patients and their folded wheelchair or other mobility aids. 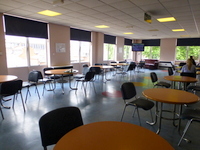 Staff at any department or reception can contact the volunteer service. Porters can also be called to assist patients who are unable to transfer out of their own wheelchair or who require a hospital wheelchair. DaD Team Contact Details Poster (All Sites) 2017 link (new tab) - click here. Partnership In Enhanced Care Leaflet link (new tab) - click here. 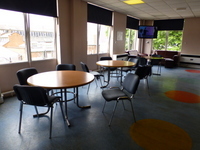 Forget Me Not - Information for Carers link (new tab) - click here. Forget Me Not Card link (new tab) - click here. Carer Leaflet link (new tab) - click here. 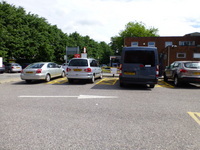 You are on Hospital Parking (Car Park 1 - Hospital Main Entrance). Skip to the next section. 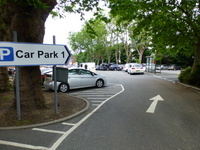 The car park is located in front of the main entrance and on the opposite side of Hospital Road, next to the site boundary. There is/are 9 designated Blue Badge parking bay(s) within the hospital car park. The drop-off point is located in front of the main entrance. 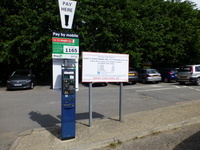 Payment machines are located in the centre of the car park and off Hospital Road. 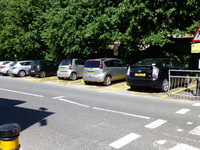 The nearest designated Blue Badge parking bay is approximately 10m (10yd 2ft) from the main entrance. 5 of the Blue Badge bays are off the drive leading to the Hospital Main Entrance, not in the main parking area. 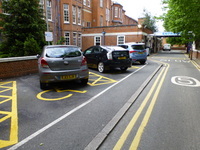 The other 4 Blue Badge Bays are in the parking area alongside Hospital Road, opposite the Chest Clinic. Parking for Blue Badge holders is only free in designated bays. Parking can be paid in coins or also by phone (020 3046 0010) or using the RingGo app, location 1165 for car parks 1 and 2. 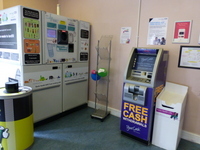 At the time of our visit (June 2017) the payment machines had not been updated to take the new £1 coin. 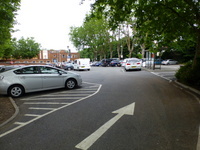 From the main parking area there is a kerb followed by 5 deep, marked steps directly in front of the Hospital Main Entrance. 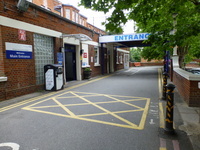 These steps can be bypassed by leaving the car park via the vehicle entrance and using the driveway past the Blue Badge bays to the Hospital Main Entrance. Patients can be dropped off or collected in front of the main entrance. Drivers must remain with their vehicle at all times in this area. You are on Hospital Parking (Car Park 2). Skip to the next section. 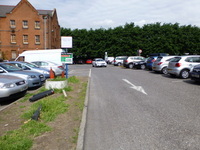 The car park is located off Hospital Road, opposite the Chest Clinic. There is/are 4 designated Blue Badge parking bay(s) within the hospital car park. 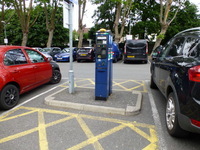 The dimensions of the designated Blue Badge parking bay(s) surveyed are 368cm x 480cm (12ft 1in x 15ft 9in). Assistance may be required because there is/are level changes with no dropped kerbs. 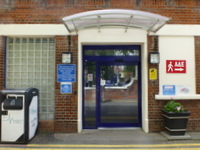 The nearest designated Blue Badge parking bay is approximately 75m (82yd 1in) from the Hospital Main Entrance. 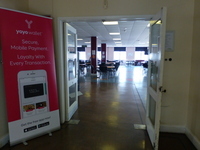 Parking can also be paid by phone (020 3046 0010) or using the RingGo app, location 1165 for car parks 1 and 2. You are on Getting To (Eatwell Restaurant and Coffee Shop). Skip to the next section. 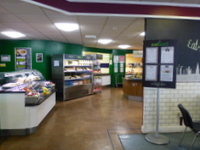 The Eatwell Restaurant and Coffee Shop is/are located on the ground floor of the main building, near junction 5 in the Red Zone. 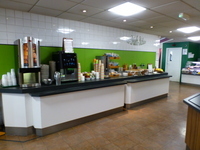 Access to the Eatwell Restaurant and Coffee Shop is via the main entrance. 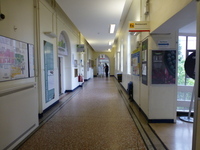 From the main entrance, turn right past the main reception then follow the main corridor. There are accessible toilets near junctions 2 and 3. Continue ahead past lifts D and C and Junction 4. 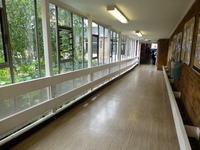 Pass the PALS office on the right, then the corridor leading to the Eatwell Restaurant and Coffee Shop will be on the right. 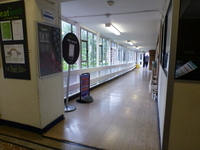 This corridor has an easy slope down towards the Eatwell Restaurant and Coffee Shop entrance. 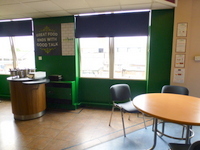 There is ramped/sloped access to the Eatwell Restaurant and Coffee Shop. 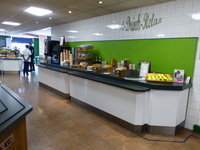 The Eatwell Restaurant and Coffee Shop is approximately 120m from the main entrance. 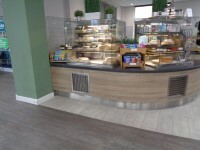 There is also an Eatwell convenience store off the main corridor, just after the turning to the restaurant and coffee shop at Junction 5. 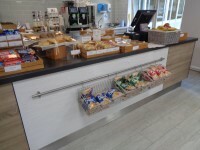 The convenience store also sells sandwiches, snacks and hot and cold drinks to takeaway. 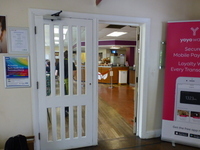 You are on Outside Access (Hospital Main Entrance). Skip to the next section. This information is for the entrance located facing Car Park 1, off Hospital Road. The ramp/slope is located downhill, between the first and second doors. The main entrance is at Junction 1, in the Orange Zone. 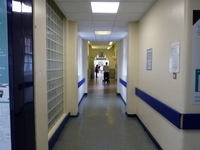 When this entrance is closed, patients requiring urgent care should go directly to the Emergency and Urgent Care Centre, which has a 24 hour entrance off Back Road. 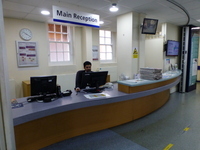 You are on Reception (Hospital Main Reception). Skip to the next section. 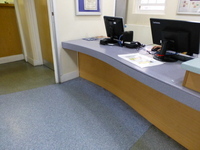 The desk/counter is 3m (3yd 10in) from the Hospital Main Entrance. 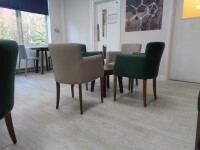 There is sufficient space to write or sign documents on the desk/counter. 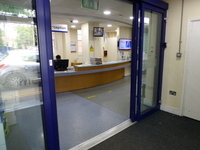 The reception desk is open the same times as the main entrance, 06:00 - 22:00. 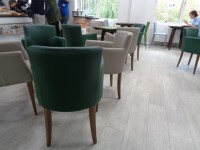 You are on Opening Times (Eatwell Restaurant and Coffee Shop). Skip to the next section. You are on Entrance (Eatwell Restaurant and Coffee Shop). Skip to the next section. This information is for the entrance located off the main corridor at Junction 5 of the Red Zone. 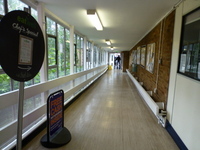 The ramp/slope is located from the main corridor, leading down towards the entrance. The lighting levels at the ramp/slope are bright. The restaurant is directly ahead through the 2 sets of doors. 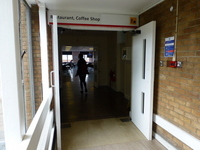 The entrance to the Coffee Shop is to the left after the first set of doors. There are two single doors, 75cm wide, one locked and one held-open. There is a TV on the far side of the main restaurant dining area. 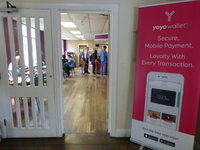 There is a cash machine on the right after the restaurant entrance, next to the recycling point. 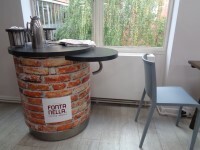 You are on Eating and Drinking (Eatwell Restaurant). Skip to the next section. The nearest table is approximately 3m (3yd 10in) from the restaurant entrance. Dinner Service - 17:30 - 19:00. You are on Eating and Drinking (Coffee Shop). Skip to the next section. 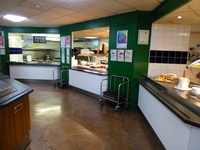 The nearest table is approximately 2m (2yd 7in) from the cafe entrance. 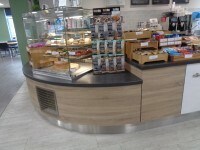 The type of food served here is drinks, sandwiches and pastries. 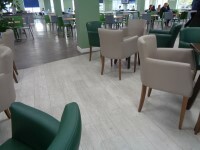 The nearest accessible toilets are located along the main corridor, near junctions 2 and 3 of the Orange Zone. The nearest standard toilet is located along the main corridor, near junction 8 of the Pink Zone. Main Building and Hospital Main Entrance link (new tab) - click here.